A decent picture of the main stand at Green Pond Road on the front of a programme from the 1988/89 season (the last season football was played at the ground). Leytonstone Ilford had merged with Walthamstow Avenue in the close season (note the ‘Incorporating Walthamstow Avenue Football Club’ at the bottom). Leytonstone Ilford won the game 1-0. 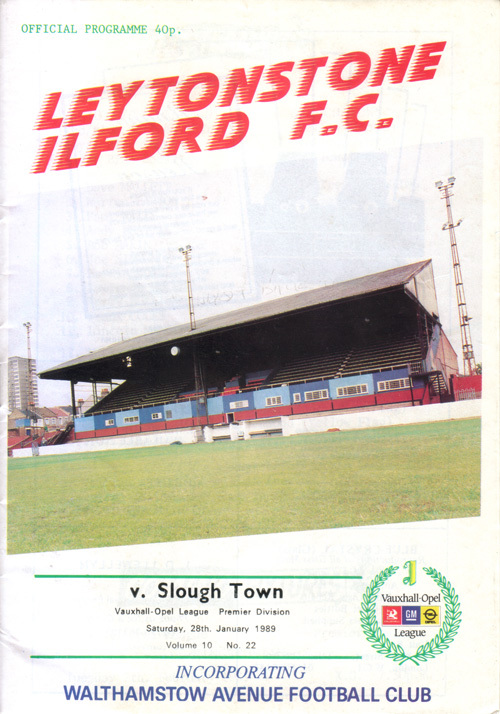 Coming soon we will be featuring video footage of what I believe was the last game at Green Pond Road – Leytonstone Ilford v Farnborough Town on 6th May 1989. It includes a tour of the boardroom and dressing rooms before the game, full match action, and Leytonstone Ilford receiving the league trophy after the game. Leytonstone Ilford v Slough Town programme. Vauxhall-Opel (Isthmian) League Premier Division. 1988/89. The just published Issue 58 of quarterly magazine ‘Groundtastic’ has an 8-page piece on Walthamstow Avenue. As well as a well-written history of the A’s, it includes 9 great pictures of Green Pond Road through the ages, including a lovely black and white aerial shot of the ground from 1972 as the centrefold. You can order a copy at www.groundtastic.co.uk for £6. 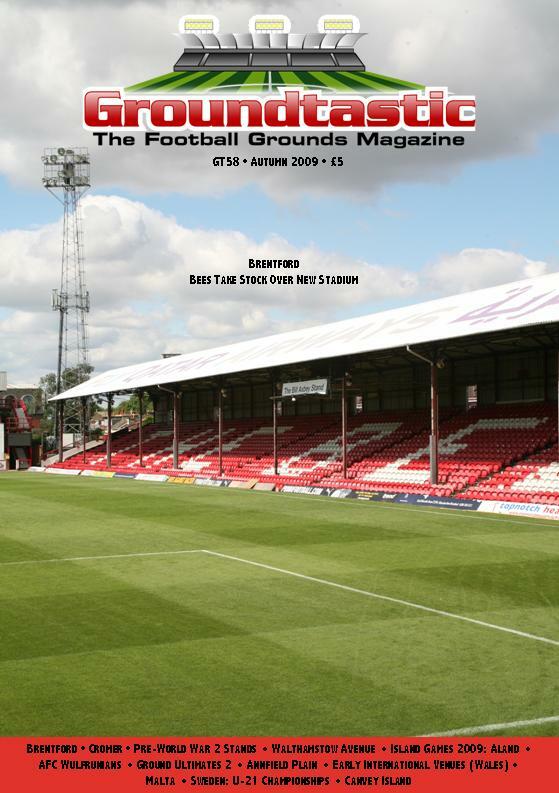 'Groundtastic' Issue 58. Autumn 2009. Contributed by Steveb from the Tony Kempster forum. The main stand on March 30th 1987. The day Walthamstow Avenue lost 4-1 to Carshalton Athletic in front of 132 fans. This picture of the ground was offered for Sale on Belgian Ebay.